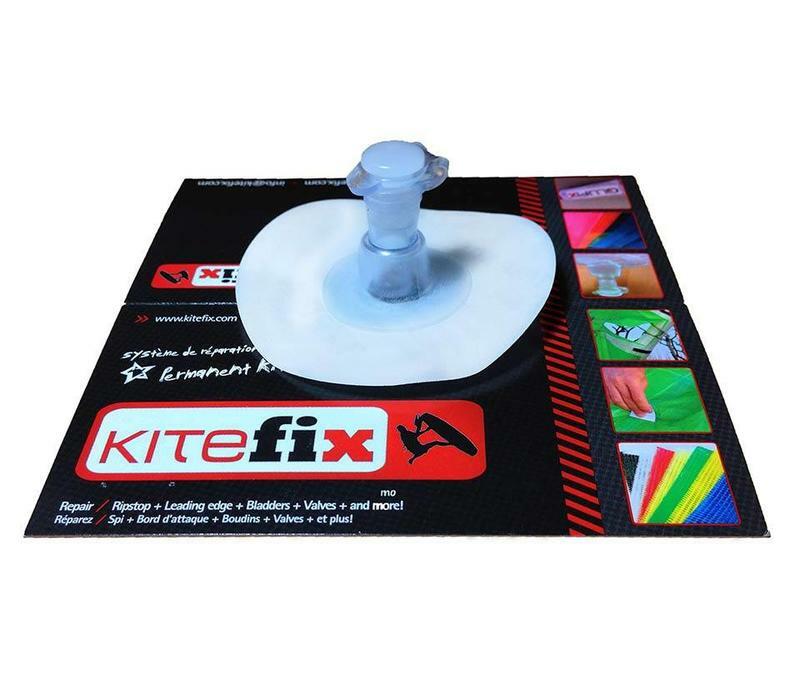 Now you can repair your kite with a valve with a bigger adhesive zone. 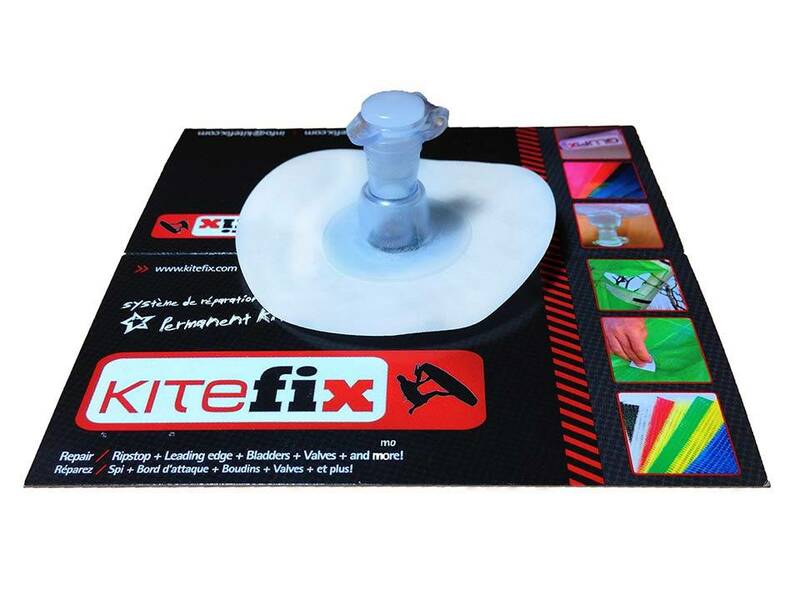 KiteFix 7mm Replacement Inflation Valve – Replacing your inflate or strut valve has never been simpler. Simply cut out the old valve, clean the bladder with the provided alcohol swab and peel and stick the new Kitefix valve. Simple, fast and bomb proof.